So the last few months have been a blur, but I’ve been crazy busy. And that’s a good thing! Questions that do continually come up have to do with how to go about hiring a video production company (now we’re being called “content creators”!). So I am sending this out again as it’s never a bad idea to have these questions answered. And if these comments are of any help, please give me a call. Remember: Great video doesn’t have to break the bank! So you wanna make a video… but where do you start? Well, one of the first things you’ll likely do is hire a video production company or videographer, and that can be a mind-bending task. How do you know who to hire? What can you expect to pay? To get you started, here are a few things to consider. 1. When preparing your job description, please be specific. Is there a specific date this needs to be shot? What is the final deadline? Other than shooting, what production elements need to be considered? (editing, scripting, voice-over, location, casting, etc.)? Answering these questions will help me to fully understand what you want and can, therefore, provide a more accurate quote. When possible, it’s a good idea to provide a few reference videos that illustrate the type of video you’re looking for. This is an easy way to set expectations and provide a target result. Explain what you like about them and why. 2. When reviewing portfolios, find someone who has produced work at the level you want for your own video. A person’s portfolio and work samples will give you the best indication of what your video will look like. If you want something you don’t see, refer to point #1 and be specific what you want. First Impressions Video has shot a wide array of projects, so there should be no problem meeting and exceeding your objectives. 3. In general, you’ll get what you pay for. As you start to get quotes back for your project, you may be tempted to go with the cheapest option. After all, everybody likes to save money, right? My advice is to take an honest assessment of the project and ask yourself what is the result you want for your video. If you’re happy with the look and feel of the cheapest option, great! But what you’ll generally see, is that the more money you’re willing to spend, the better the end result. Pick an option that satisfies both your budget constraints and your expectation for quality. The last thing you want, is to pay for the cheapest option, then not be satisfied with the result and have to do the whole thing over again with someone who can produce at a higher level. As I have shared, there is a lot more that goes in to making a quality video than meets the eye. What First Impressions Video will do is offer options so that you can determine which are best for you, given your budget and time constraints. Whether it’s your first venture into video or you’ve done a few, the process of finding and hiring the right video pro can be a bit tricky. The goal of this essay is to provide solid insights, so that businesses small and big can feel like video is for everyone—not just those with big budgets and lots of experience! 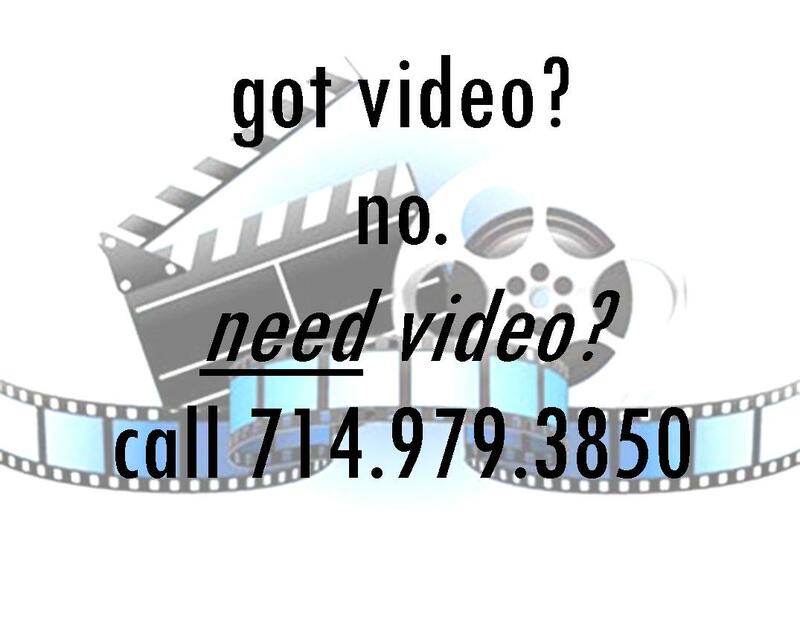 And if you have a question, First Impressions Video is but a phone call or email away! A year ago, I lost my job in internet marketing. Rather than continue in that field, I took a risk and with the blessings of a supportive spouse, started First Impressions Video. After all, if not now…when? It’s been an interesting journey and have worked on a myriad of interesting projects. And while there could have been more jobs, every starting entrepreneur says the same thing. That said, I convey thanks to every customer who entrusted their projects to me, and thanks to Laurie Probasco Wall, for believing in me! And here’s to an even more prosperous year 2!! !